ST. GEORGE — A group of firefighters from Michigan on their way to the Box Canyon wildfire in Utah were involved in a crash on Interstate 35W in Anoka County, Minnesota, which left two firefighters dead and multiple others seriously injured. 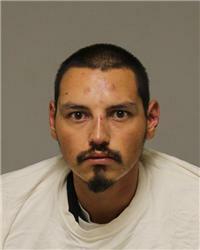 The driver of the truck was subsequently charged with two counts of criminal vehicular homicide. At approximately 3 p.m. Saturday, a truck carrying nine members of a wildland firefighting crew left the roadway for an unknown reason, struck the median cable barriers and rolled, according to a statement issued by Minnesota State Patrol. The wildland fire crew was from the Beartown Firefighters, which is based in Baraga on Michigan’s Upper Peninsula and is managed by the Keweenaw Bay Indian Community and the federal Bureau of Indian Affairs. State Patrol officials identified the driver of the truck as 28-year-old Michael Johnson. Eight of the passengers were identified as 23-year-old James Shelifoe; 25-year-old Alan Swartz; 26-year-old Dave Varline; 33-year-old Ross Jaukkuri; 34-year-old Gavin Loonsfoot and Joseph Jossens, all of Michigan; 29-year-old Shashaywin Sandman, of Minnesota; and 26-year-old Tyler Tolonen, of Wisconsin. Shelifoe and Swartz were pronounced dead at the scene, according to the State Patrol. Our hearts are broken and our prayers are with the family members and those injured. In a separate statement Sunday, the tribal government said that the injured firefighters were expected to recover, but released no details about their conditions. Eleven other firefighters were also en route to the Box Canyon Fire in Utah when the fatal crash occurred, according to the statement. The wildland fire crews were reportedly traveling in a convoy of three but became separated from the truck that crashed. “Those firefighters are understandably shaken and are getting much-needed support from local agencies,” the statement said. Officials investigating the crash said Johnson showed “signs of impairment and combative behavior” when officers arrived at the scene of the crash, according to charges filed Monday in Anoka County District Court documents and obtained by ABC News. Johnson later told investigators he believed he had fallen asleep at the wheel and that he hadn’t slept more than 45 minutes in more than 24 hours, according to a criminal complaint. Johnson also allegedly admitted to using marijuana early Saturday and to using cocaine two days earlier. Toxicology results are pending. As a result of the crash and subsequent investigation, Johnson was arrested and charged with two felony counts of criminal vehicular homicide. 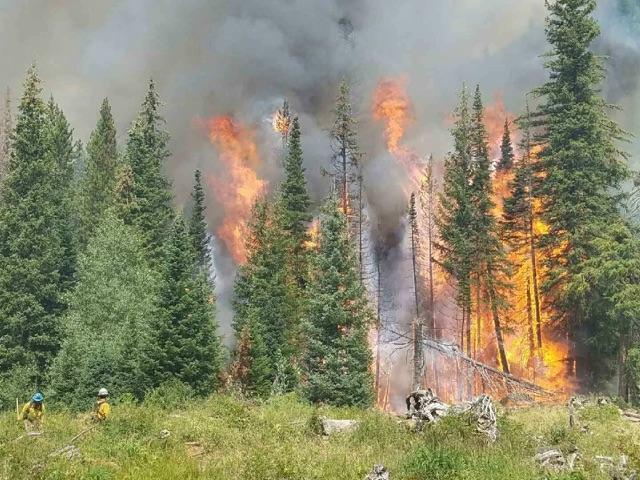 The Box Canyon Fire in Summit County east of Park City had consumed 4,000 acres as of Monday. Unstable weather systems brought heavy winds into the area, increasing the fire’s activity, according to a press release from U.S. Forest Service. Officials said Sunday that the Utah National Guard had been activated to assist in battling the wildfire. Utah Guard’s 97th Aviation Troop Command and 2nd Battalion 211th Aviation responded to the Box Canyon Fire with two UH-60 Black Hawk helicopters, according to a press release from the Utah National Guard. The human-caused fire is reportedly 20 percent contained.